NEW YORK -- New York state's fraud suit against Trump University is moving along. A New York judge heard procedural arguments Tuesday in the attorney general's ongoing lawsuit against Donald Trump and his former school for real estate investors. Among other things, the lawyers debated whether the case should be decided by a judge or a jury. In 2013, New York Attorney General Eric Schneiderman sued the real estate mogul and his for-profit investment school, accusing the billionaire and others of making phony claims to convince more than 5,000 people, including 600 New Yorkers, to "spend tens of thousands of dollars they couldn't afford for lessons they never got." The civil lawsuit, which seeks at least $40 million in restitution, accused the school of engaging in illegal business practices by running an unlicensed educational institution from 2005 to 2011 and making false claims about its classes. 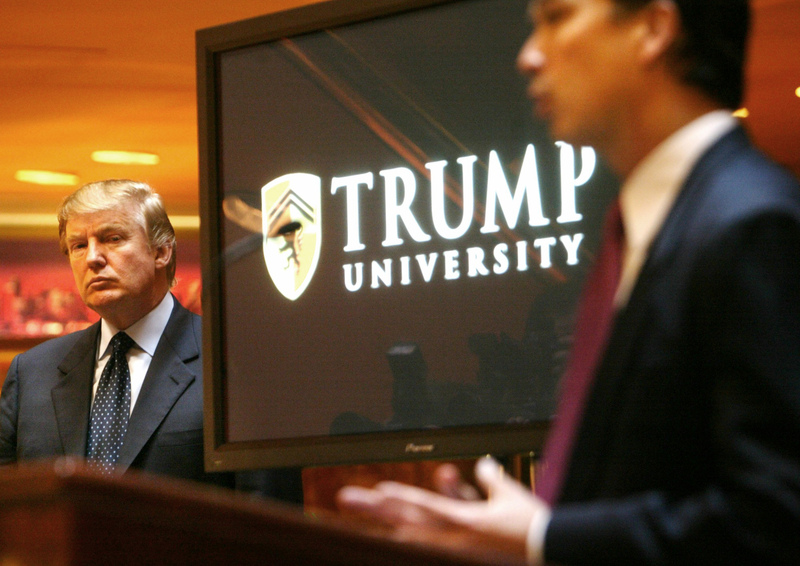 The probe into Trump University came after dozens of people contacted authorities in New York, Illinois, Florida and Texas to voice concerns about the institution, which the suit contends lured potential students with the promise of a free seminar about real estate investing. That session ultimately served as a pitch for a three-day seminar costing $1,495, which then pitched pricey packages including so-called personal mentor programs at $35,000 a pop. Last year, CBS News conducted a three-month investigation of Trump University, reaching out to dozens of former students and reviewing hundreds of comments about the program. The Republican presidential candidate has denied wrongdoing. "I am very pleased the judge has indicated her intention to move as expeditiously as possible to trial, as thousands of Mr. Trump's alleged victims have been waiting years for relief from his fraud," Schneiderman said in a statement. He said Trump would be an "essential" witness when the case goes to trial. "As we will prove in court, Donald Trump and his sham for-profit college defrauded thousands of students out of millions of dollars," Schneiderman said. Manhattan state Supreme Court Justice Cynthia Kern told both sides to return after a higher court rules on an appeal.